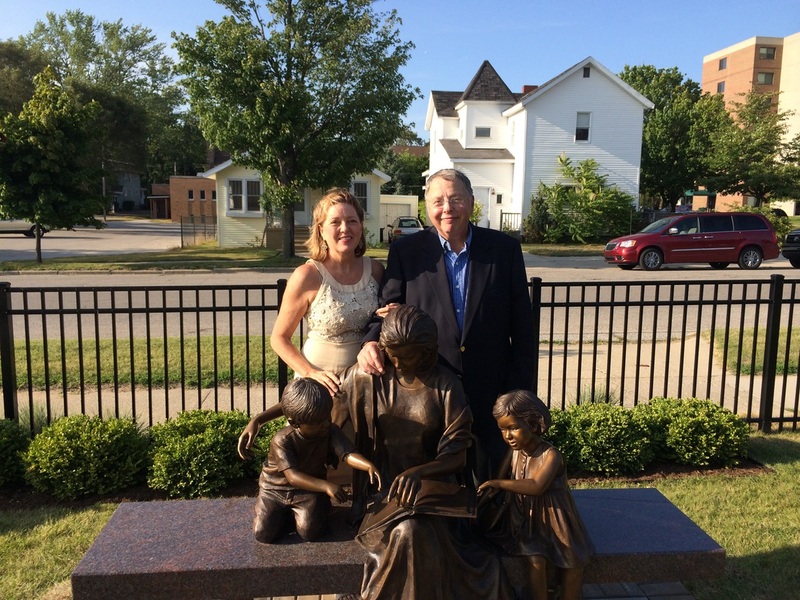 In late August, Gallery Owner Beth Lauterbach traveled to Ludington, Michigan to participate in the dedication ceremony for a sculpture placed there through the gallery. This particular sculpture was donated to the City of Ludington in memory of Sallie Ferguson by her husband Jon Ferguson. Sallie loved children and loved literature, so the subject of a woman reading to children was the perfect tribute. The weekend was a joyful occasion which included family and friends of the Ferguson family as well as many long time Ludington residents. This small town on Lake Michigan boasts one of the finest public sculpture gardens in the United States. This latest addition to their collection is placed on the grounds of the Ludington Public Library in the Children's Garden.